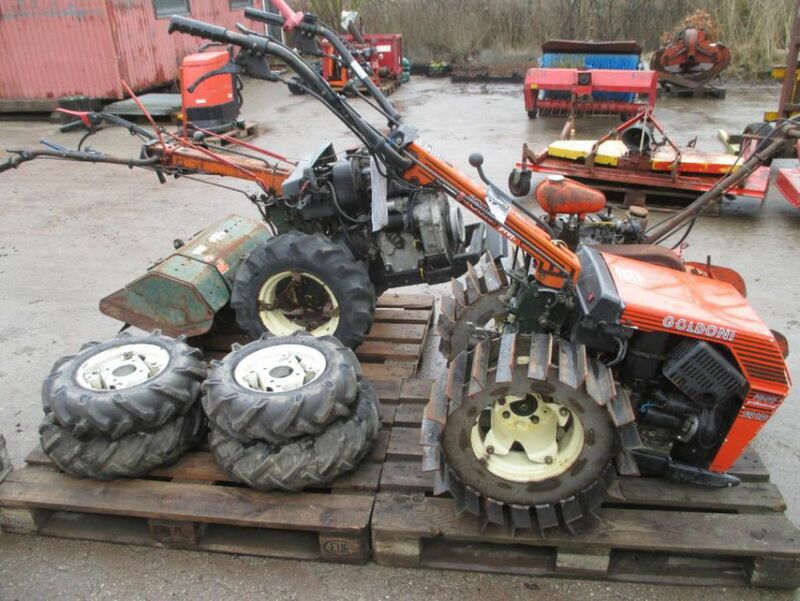 2 Goldini 2 hjul traktor + Hako fræser / 2 Goldini 2 wheel tractor + tiller for sale. Retrade offers used machines, vehicles, equipment and surplus material online. Place your bid now! 1 Goldoni Jolly med terrænhjul. 1 Goldoni Jolly med fræser. 1 Goldoni Jolly with terrain wheels. 1 Goldoni Jolly with tiller.